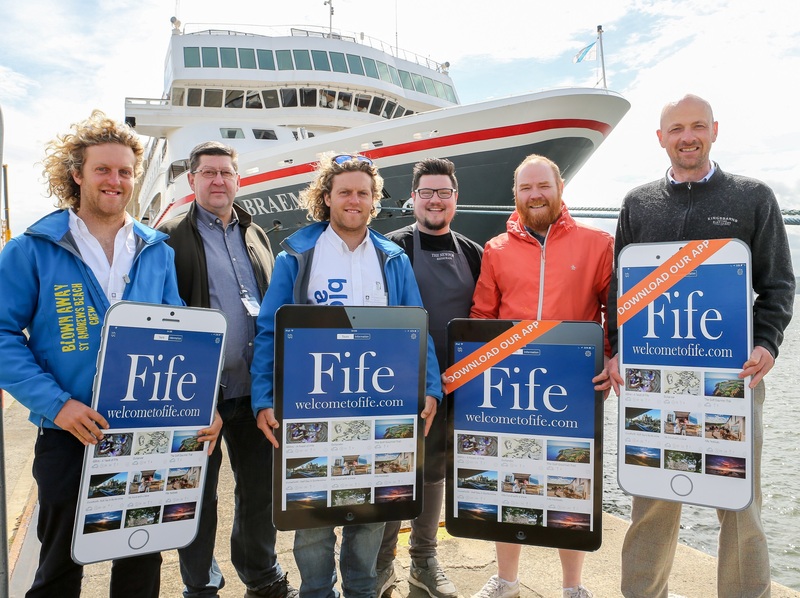 Welcome to Fife has launched a new App this week to showcase its extensive variety of trails around Fife, making the kingdom of adventure even easier to explore. Developed to entice Fife's growing number of visitors to unlock some of the kingdom's best kept secrets, the App features nearly 50 trails providing amazing adventures and quality visitor experiences for people of all interests and ages. The App, which is available on Google Play (Android) and the App Store (Apple), features trails including Outlander, Golf Gourmet, Arts & Crafts, Brewing and Distilleries as well as accessible and seasonal trails. It also includes five trails specifically aimed at Fife's growing number of cruise passengers visiting the Kingdom. There will eventually be a total of 50 trails! The App is multifunctional offering visitors' a host of information at their fingertips including directions, tips and tourist information, all beautifully presented and easy to navigate combining form and function. For foodies there are a range of businesses featured in the App from Michelin star restaurants to distillers, Masterchef winners to cheese makers or ice cream makers to seafood shacks, there's something in Fife's larder to suit everyone. Fife's starring role in the historical drama Outlander also has its own App trail highlighting five locations across the region. Visitors can step back in time and follow in the footsteps of Jamie and Claire as they visit the places where they lived and loved all those years ago. The Welcome to Fife App is now available to purchase from App stores and costs 99p to download.